Do you feel hot one second and cold the next? And has this been happening constantly of late? This can mean only one thing – hot flashes! Hot flashes happen due to hormonal imbalances in your body. And if they are taking a toll on you, you are at the right place. We have the perfect set of remedies that can solve your problem. Keep reading! Hot flashes are inner feelings of intense heat that are not caused by an external source. A wave of feverish heat takes over you, and this can be characterized by flushing and sweating. But what exactly causes them? Although hot flashes are more commonly associated with women undergoing menopause, they can affect men as well (where low testosterone levels are the culprit). Following are some of the signs and symptoms of hot flashes. 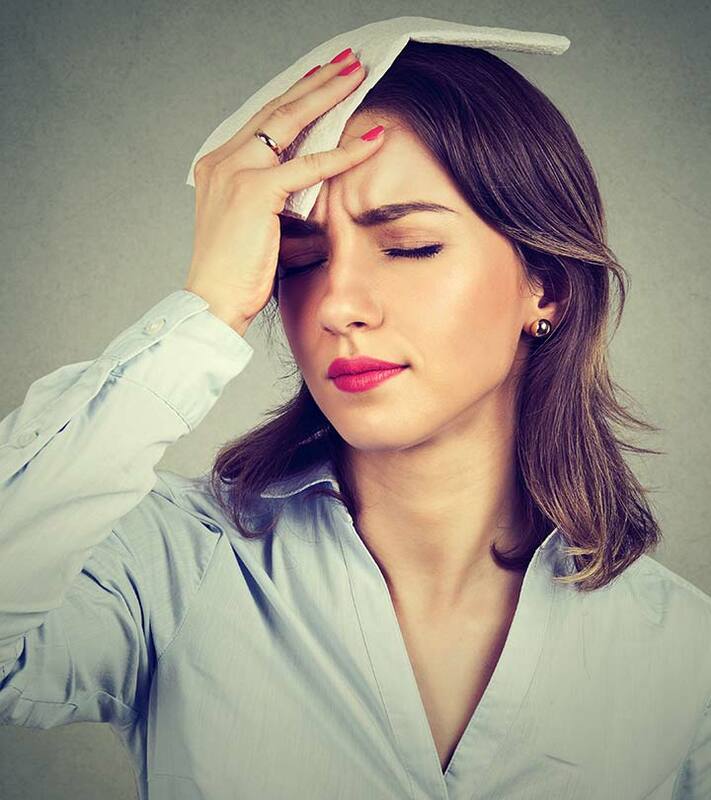 Hot flashes are no fun, and you may want to get rid of them as soon as you can. If you are among those who want to opt for natural remedies, look no further. Listed below are the remedies that can help. Consume 500 mg of black cohosh supplements daily. Alternatively, you can also consume black cohosh tea. You must consume 500 mg of black cohosh supplements 2 to 3 times daily. 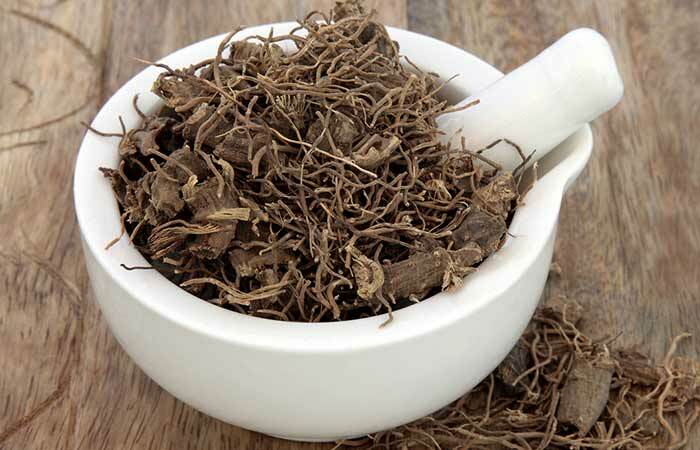 The roots and rhizomes of black cohosh relieve inflammation and anxiety and also aid sleep. Hence, it is one of the best remedies for relieving hot flashes (1). 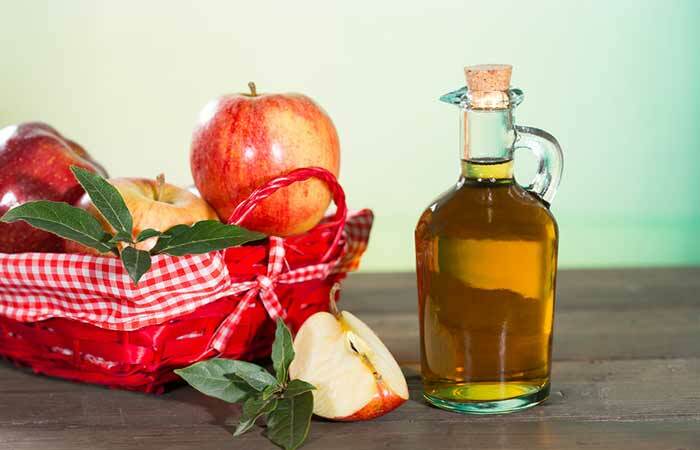 Add a tablespoon of apple cider vinegar to a glass of water and mix well. You must drink this 1 to 2 times daily. Raw and unfiltered apple cider vinegar possesses powerful anti-inflammatory properties, which can reduce the intensity of hot flashes (2). Vitamins B, C, and E help relieve hot flashes. Studies have shown how the antioxidant properties of vitamins C and E can help improve the condition (3),(4). Similarly, folic acid (or vitamin B 9) has also been proved to reduce the severity and duration of hot flashes in menopausal women (5). 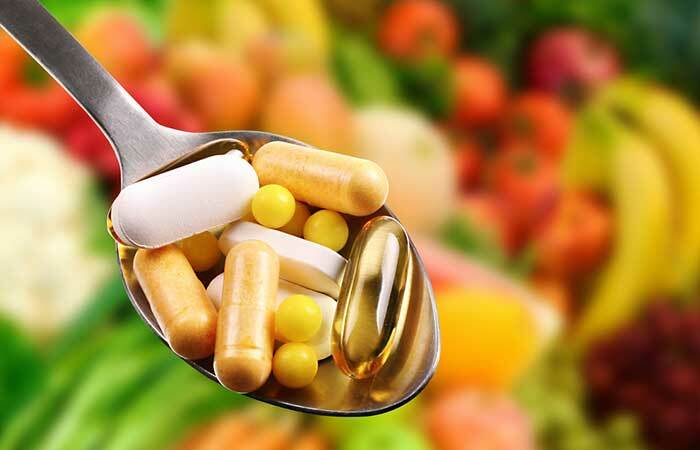 You can either take supplements (after consulting your doctor) or include these in your diet by consuming citrus fruits, leafy vegetables, soy, and nuts. Add about two teaspoons of ginseng tea to a cup of water. Bring this to a boil in a saucepan. Allow it cool a bit and add some honey. Drink the tea right away. Do this thrice daily for effective results. 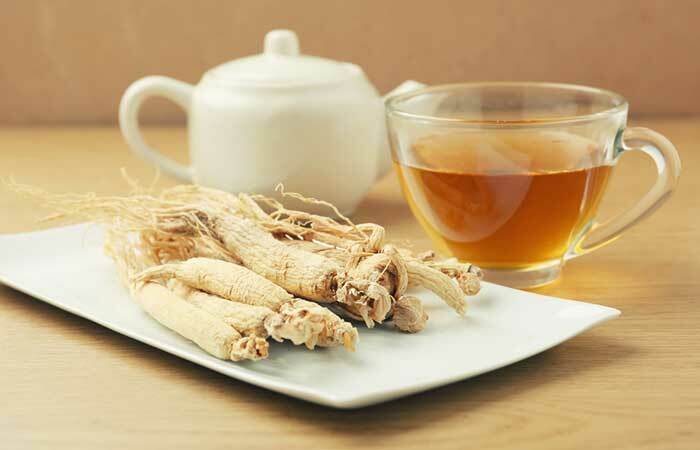 The anti-inflammatory and anti-fatigue properties of ginseng provide relaxation and restore energy (6). Additionally, ginseng has a calming effect and can aid sleep. All of these properties help treat the condition (7). Add a tablespoon or two of powdered flaxseed to your favorite cereal or juice. You must consume this twice daily. One 2007 study had linked flaxseed consumption to reduced hot flashes. Flaxseeds were found to reduce the symptoms as well as the intensity of hot flashes, making them an excellent remedy to combat this condition (8). Stick within the prescribed limits. 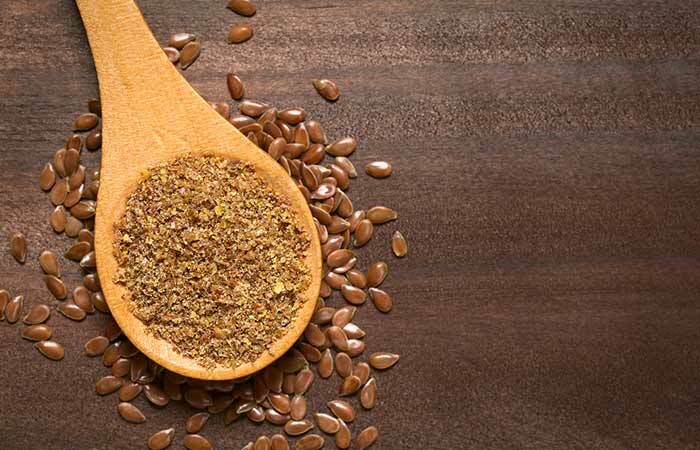 Excess intake of flaxseeds can cause diarrhea or flatulence. 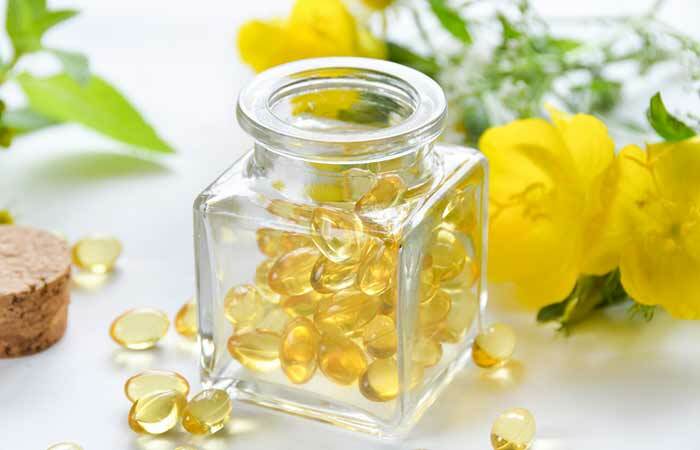 Consume 500 mg evening primrose oil supplements. You must do this 2 to 3 times daily. Evening primrose oil supports the overall hormonal function of our bodies. Since hot flashes are caused by hormonal imbalances, taking primrose oil supplements can help treat hot flashes. The same has also been proved in an Iranian study (9). 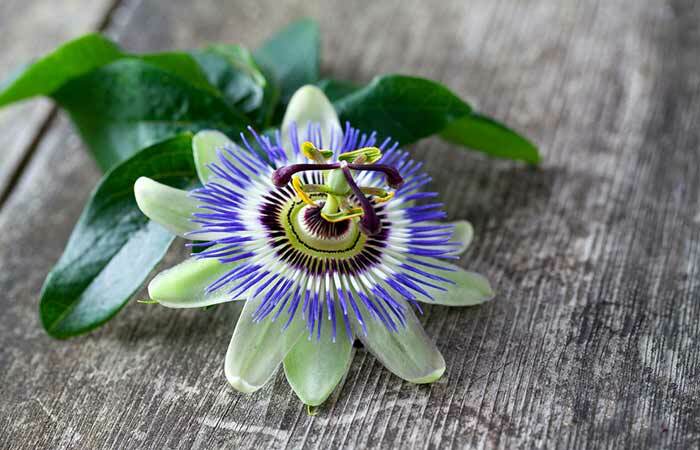 Add a teaspoon of passion flower herb to a cup of steaming hot water. Add some honey as per your requirement and consume the tea before it turns cold. You must drink this tea 3 to 4 times daily. Anxiety is one of the worst triggers of hot flashes. Passion flower contains certain bioactive compounds that help you relax, and this reduces the severity and duration of hot flashes (10). 1. Fill your tub with some warm water and soak in it for a while. 2. Alternatively, you can also opt for a warm shower. You must do this once daily, preferably every night. A warm shower or bath will help relieve the symptoms of hot flashes – as it can lower the internal temperature of your body, thus helping you stay cooler (11). Epsom salt can aid in detoxifcation, which can help the body detoxify excess hormones, helping to reduce hot flash symptoms. Adding essential oils can also provide further support in the bath. Do not use very hot water as it may have a reverse effect on your condition. Add a few drops of peppermint oil to a diffuser and inhale the aroma. Keep the diffuser next to your bed before you go to sleep. You can also put a few drops of peppermint oil on a tissue and inhale its strong vapors. The menthol in peppermint is widely known for its soothing properties. It helps you relax and reduces stress and anxiety. 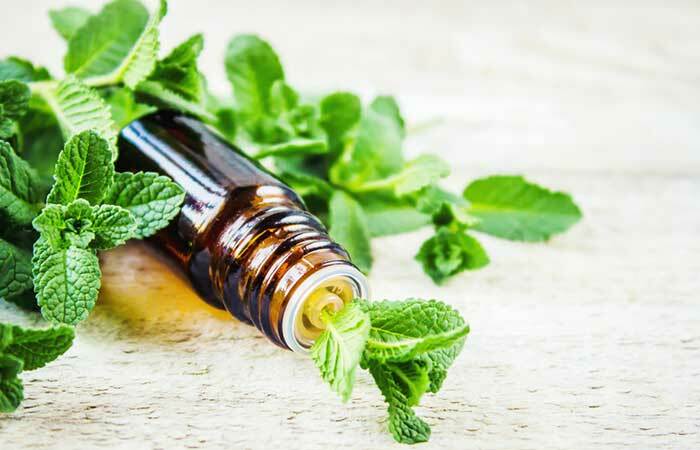 These soothing and calming properties of peppermint oil help reduce the severity of hot flashes (12). 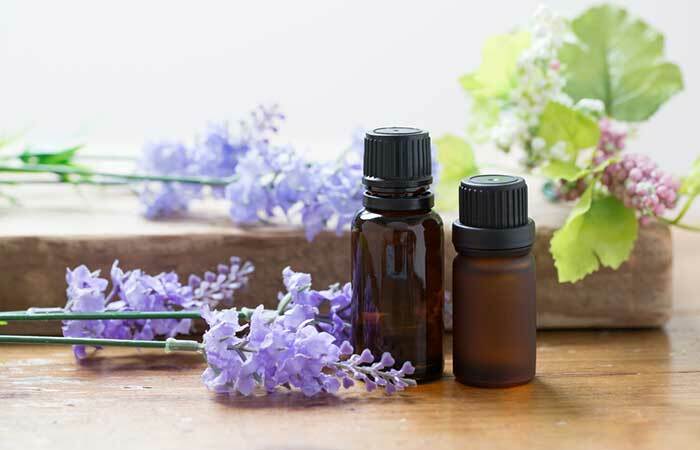 Add two to three drops of lavender essential oil to a diffuser. Keep this near your bed before going to sleep and inhale its soothing aroma. You must do this on a daily basis. Lavender oil has multiple uses. From reducing stress to inducing sleep, it is an effective remedy for all stress-related issues, including hot flashes. The pleasant aroma of lavender oil calms your mind and helps you relax, making it a great natural remedy for hot flashes (13). Put an inch of ginger in a cup of water and bring it to a boil in a saucepan. Let the tea cool for some time before adding honey. Drink it before it turns cold. You can also use raw ginger in your daily diet. You must drink ginger tea 3 to 4 times daily. 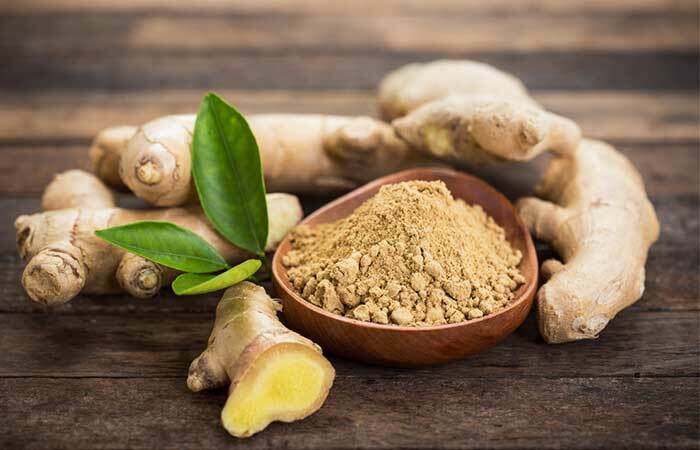 Ginger’s antioxidant and anti-inflammatory properties are great for your overall health and can also help you relax and calm down. This herb also balances your hormonal activities, naturally healing hot flashes (14). Indulge in a coconut oil body massage before going to bed. You can also add coconut oil to your daily diet. You can do this every night or 2 to 3 times in a week. Coconut oil is a rich source of fatty acids with excellent anti-inflammatory properties, which make it a soothing and cooling remedy for hot flashes. 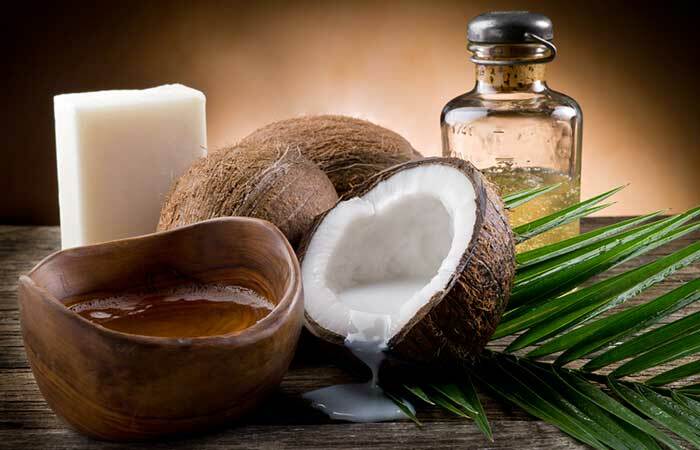 A good massage with coconut oil relieves stress and anxiety, which are major symptoms of hot flashes (15). Steep for about 5 minutes and strain. Add a little honey and drink the tea. You must drink this at least thrice daily. Although caffeine intake should be avoided while dealing with hot flashes, green tea is an exception. This herbal tea contains catechins that exhibit strong antioxidant properties, which are great for your overall health. 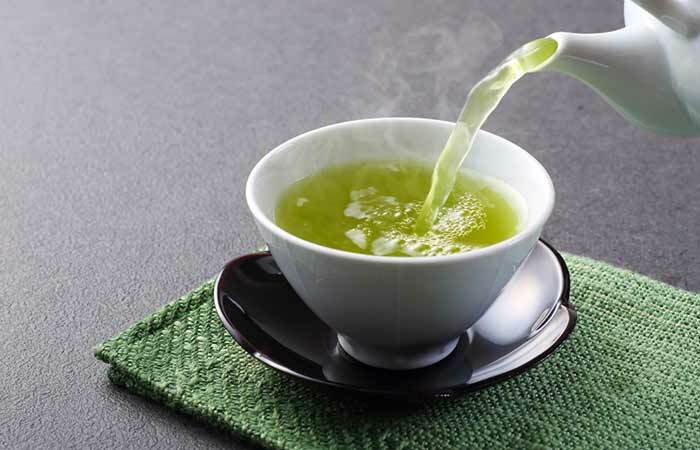 Green tea can also help fight fatigue and stress that often accompany hot flashes (16). 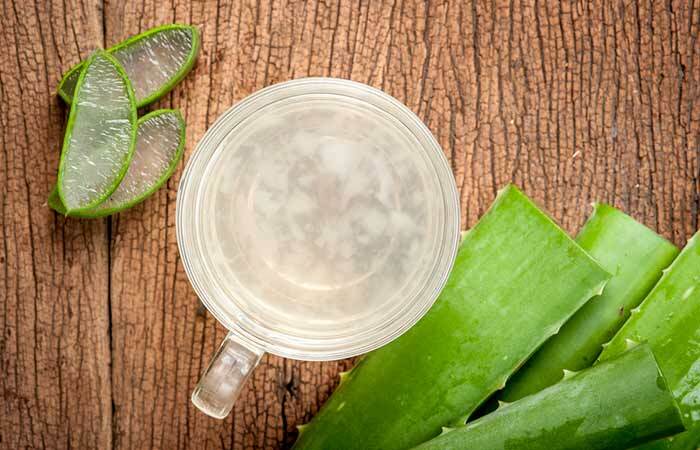 Consume half a cup of aloe vera juice. You must drink it once daily. Aloe vera is a rich source of various phytonutrients. Some of them are phytoestrogens that mimic the activities of estrogen. As you know, decreased estrogen level is one of the major causes of hot flashes in menopausal women. Thus, consumption of aloe vera juice can restore your hormonal balance and, in turn, treat hot flashes. Drink a cup of unsweetened tomato juice. You can either make it at home or buy it from a health store. 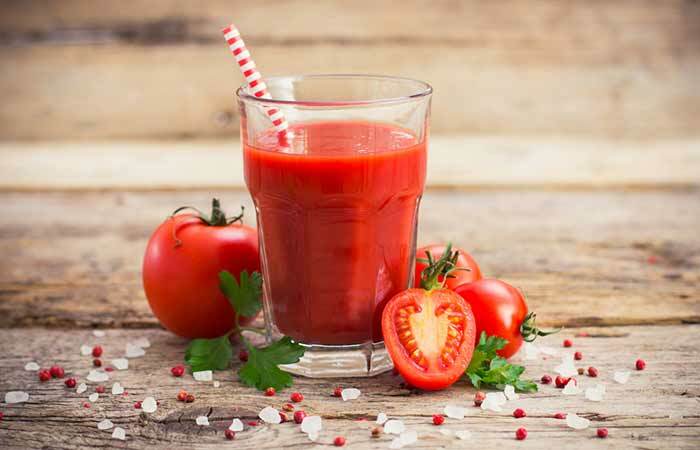 Drink tomato juice twice daily to combat hot flashes. Tomatoes are good sources of lycopene, which alleviates symptoms like stress, anxiety, and fatigue. The juice is also a rich source of antioxidants and promotes overall health and healing (17). You can also increase your dietary intake of omega-3s by consuming fish like salmon, sardine, and mackerel. You must consume this supplement 1 or 2 times per day. 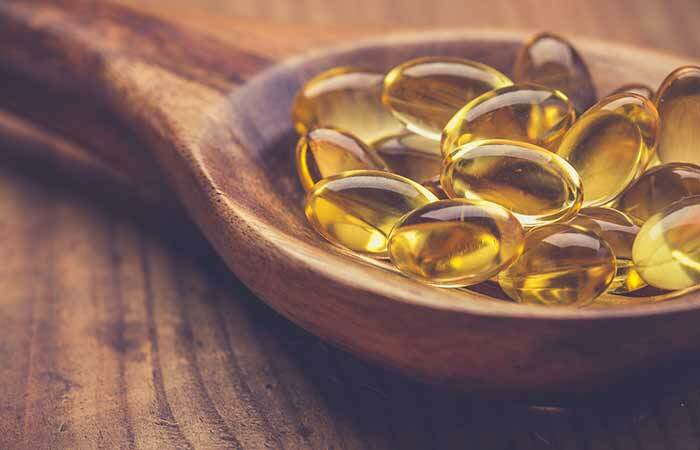 Omega-3 fatty acids are another potential treatment for hot flashes. A Canadian study found that omega-3 supplements could reduce both the frequency and intensity of hot flashes (18). Consult your doctor before taking any additional supplements. 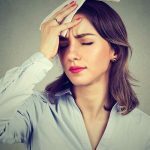 Although there is nothing much women can do to prevent hot flashes altogether during menopause, they can wait it out and stay away from triggers with the help of the tips listed below. Exercise daily. Try deep breathing, swimming or even dancing or cycling. Limit your intake of caffeine and alcohol. Follow a diet that consists of fruits, vegetables, whole grains, and fish. Dealing with hot flashes is a difficult task. But paying a little more attention to your diet and following the remedies discussed above can go a long way. So, get started already – and overcome hot flashes for good! What does it mean when you wake up in sweat? If you wake up in sweat, it most probably means that you have had a night sweat. Night sweats are often associated with hot flashes, but they usually occur while you are asleep. 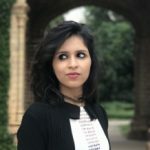 Can you have hot flashes when you still have your periods? Women often visit their gynecologists for managing hot flashes. However, you can also visit primary health care providers or a general physician for the same. Holistic treatments are proven to be very effective to treat hot flashes, such as chiropractic, kinesiology, homeopathic and herbal remedies, and acupuncture. Hot flashes usually start to fade away in 6 to 24 months. But for some women, they may last for the rest of their lives, but with milder symptoms.